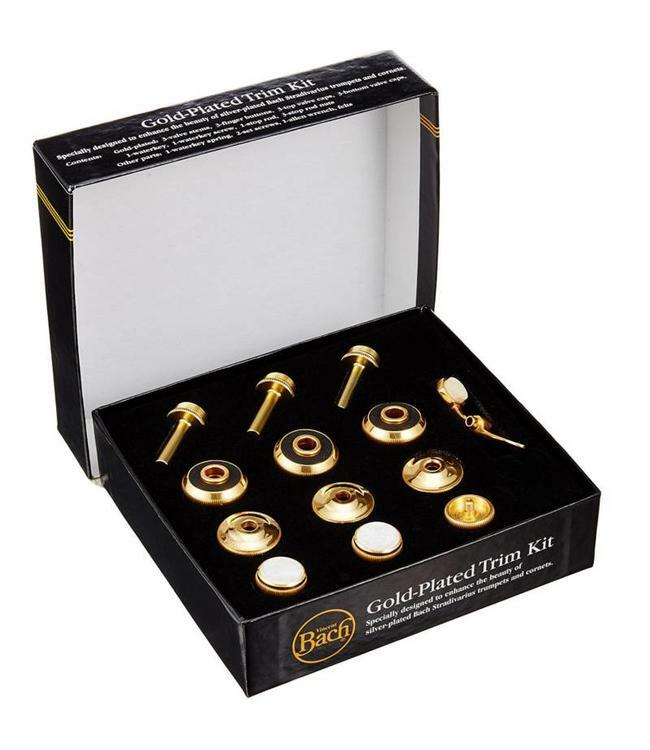 Specially designed to enhance the beauty of silver-plated Bach Stradivarius trumpets and cornets.Attractively packaged and reasonably priced, these kits contain all the gold-plated parts needed to trim out a silver-plated Bach Strad trumpet or cornet. Also included are a few "spare parts" and an allen wrench to aid in installation. Available with standard or heavy bottom caps.